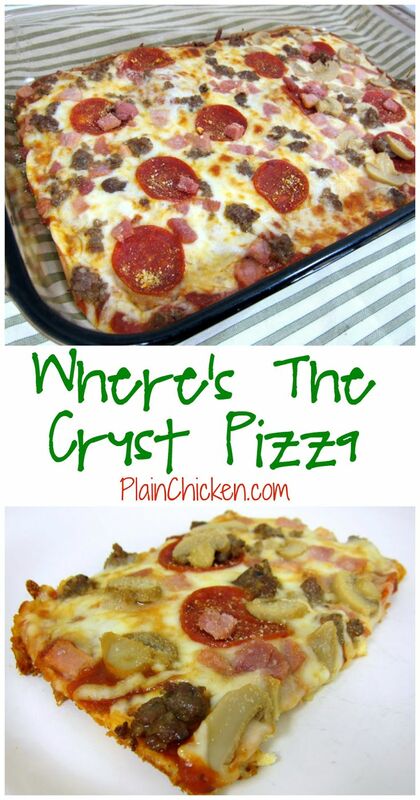 Where's The Crust Pizza – pizza crust made with cream cheese, eggs, garlic and parmesan cheese – no gluten! Top with favorite sauce and toppings. SOOOO good! We love to make this for our weekly pizza night! PREVIOUS POST Previous post: South Beach Diet food list for every phase….